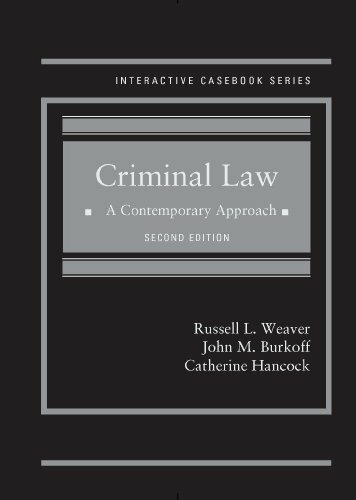 This state-of the-art casebook is both easy and fun to use. It is designed to give you the basis for an enjoyable, comprehensive learning experience for your students, providing you with the sort of piquing materials that should prompt interested and insightful classroom discussion. The focus here is on teachability, rather than encyclopedic coverage of the field. Many modern, cutting-edge cases and related features are included, as well as the classic decisions, making it possible for you to show students the most current issues in the law as well as the traditional doctrinal underpinnings of this area. Numerous problem-style hypotheticals are also included throughout, serving to stimulate and encourage thought and discussion but also to help you focus your students on practice-oriented, analytical skills.